It is one of the longest smuggling tunnels ever uncovered. And it was built right under our noses. 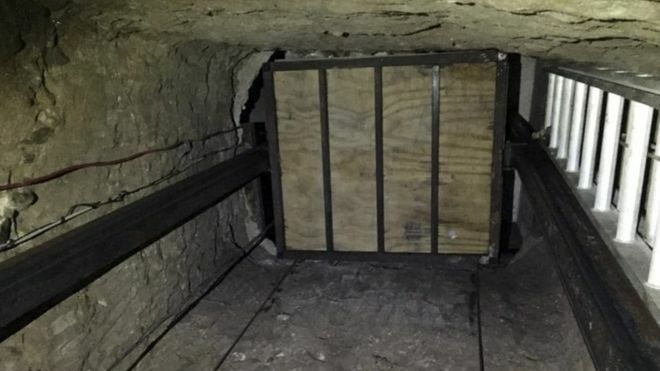 U.S. authorities said Wednesday that they discovered a cross-border tunnel that ran a half-mile from a Tijuana house equipped with a large elevator to a lot in San Diego that was advertised as a wooden pallet business, resulting in seizures of more than a ton of cocaine and seven tons of marijuana. It was the 13th sophisticated secret passage found along California’s border with Mexico since 2006, including three on the same short street in San Diego that runs parallel to a border fence with a densely populated residential area on the Mexican side. The unusually narrow tunnel was only about three feet wide, equipped with a rail system, lighting and ventilation. 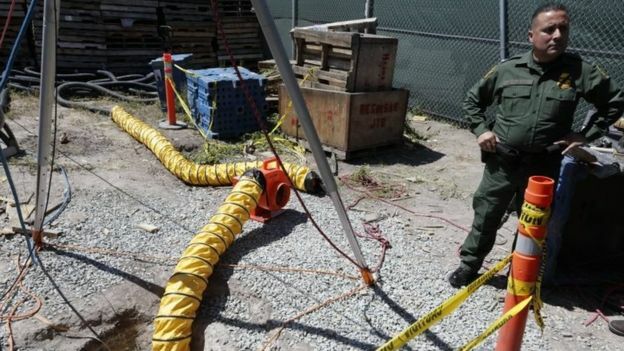 drug tunnel elevatorThe tunnel was unusual because it was used for cocaine, not just marijuana, said Laura Duffy, U.S. attorney for the Southern District of California. 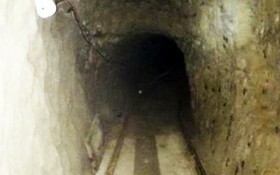 Tunnels are often built for marijuana because its bulk and odor make it more difficult to escape border inspectors’ scrutiny than cocaine and other drugs. Investigators didn’t know when the tunnel was completed. Margarita Ontiveros, who works at a law office next to the San Diego lot, said the tenants arrived about a year ago and often bought and sold wooden pallets. Investigators began to monitor the lot daily last fall after Border Patrol agents assigned to the area saw heavy traffic and grew suspicious, said Duffy. The prosecutor said she was “fairly confident” that the first drug load was sent earlier this month but didn’t rule out the possibility that some got through undetected. tunnel entranceAuthorities saw a trash bin forklifted on to a truck at the San Diego lot on April 13 and followed it to a parking lot in San Diego, a U.S. Immigration and Customs Enforcement Homeland Security Investigations investigator said in a criminal complaint. Two days later, San Diego County sheriff’s deputies stopped a truck after it left the parking lot, seizing 2,240 pounds of cocaine and 11,030 pounds of marijuana.